Racine work in progress | Vandewalle & Associates, Inc.
RootWorks: Revitalizing Racine’s Root River Corridor is a redevelopment plan that fosters the renewal of Racine’s historic industrial district. The plan envisions the rebirth of the Root River Corridor as the heart of the City and a hub for economic growth. Click here to learn more and view the latest RootWorks Plan documents and updates. This project identifies the geographic areas in the City of Racine with the greatest potential for redevelopment and economic growth over the next 3-5 years–while addressing neighborhoods, quality of life, public safety, recreation, and entertainment needs. Learn more and view the Opportunity Analysis documents here. The Root River West Bluff Overlook is the missing link in a Jens Jensen-designed park system that would connect a city-wide bike and pedestrian asset. The project was identified as one of the top implementation priorities in the RootWorks Root River Corridor Redevelopment Plan. Learn more about the West Bluff Overlook and view the documents here. 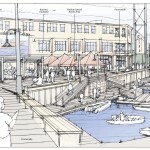 The City of Racine is welcoming a $65 million mixed use redevelopment of its urban riverfront, a formerly industrial area on Water Street. Mayor John Dickert called this 20-acre project the largest redevelopment project in Racine’s history. 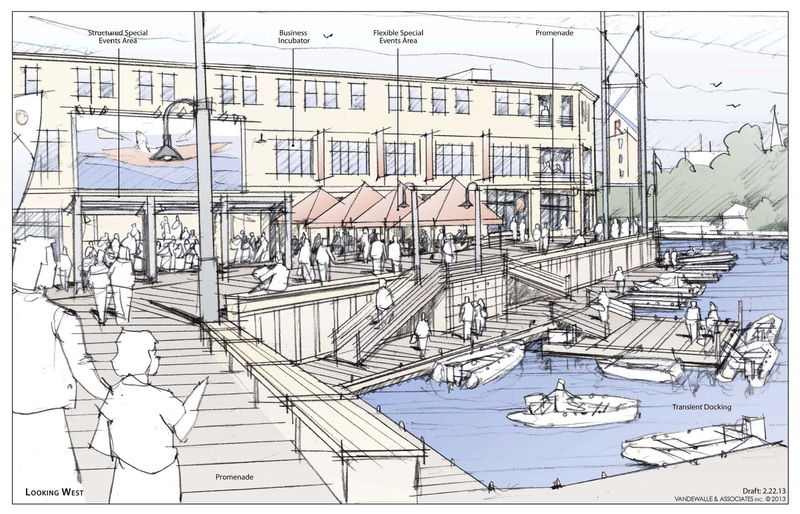 Working with the City, Vandewalle & Associates authored the award-winning plan that will involve environmental remediation, renovate and adaptively reuse former industrial buildings, manage stormwater while improving water quality, and add a dynamic riverfront promenade. In 2015 the City began the process of developing a detailed area wide plan for 325-acres of the Root River Corridor. Building on the RootWorks Plan, the RootWorks Area Wide Plan delivers detailed analysis, recommendations, and conceptual site plans to drive investment through continued revitalization and redevelopment efforts.